“lucy are brilliant and good listen. also very gently and good advice. I will go back again. From the moment she observed my posture she immediately understood where the problem lies, but she continued to explore whilst treating. That is a great practitioner! 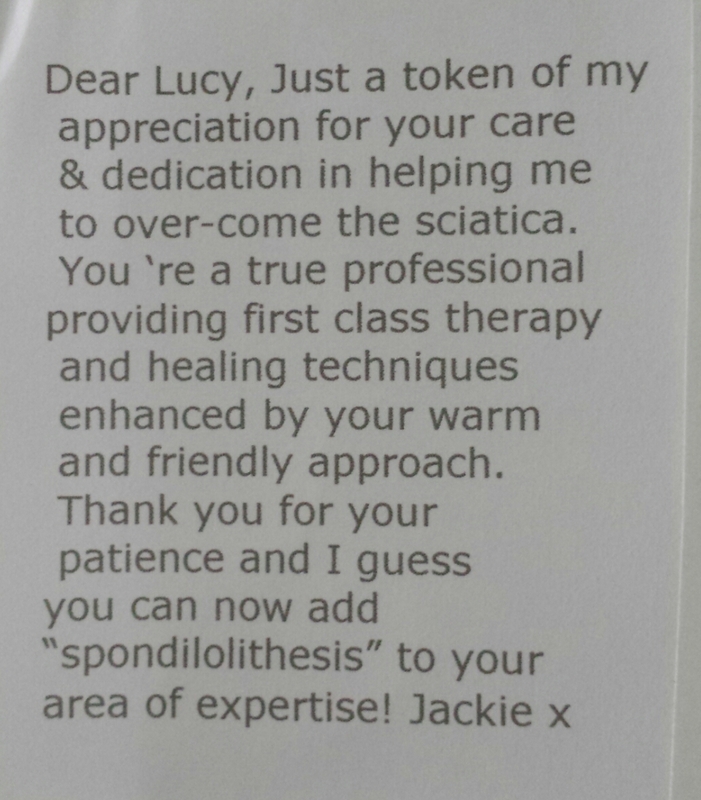 Lucy was strongly recommended to my husband by our GP, and her manner instilled confidence from the start. Yes, Lucy is very down to earth, approachable and professional. She put me at ease immediately so I was comfortable discussing all aspects of my treatment with her.